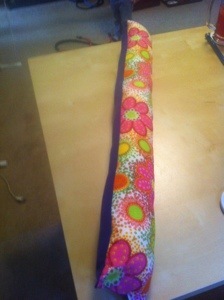 I decided to make a car seat pillow for my eldest daughter for our road trip next week. 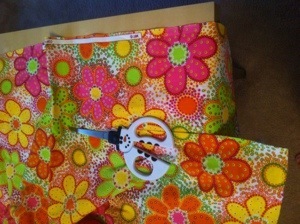 I started cutting out two pieces of fabric. Both six inches wide and 3-4 feet long. I didn’t really measure how long it should be. 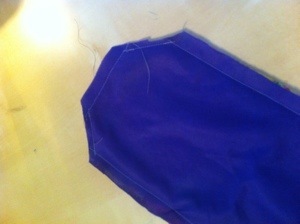 I sewed around three edges and the corners at 45 degree angles, and cut the edges off. I stuffed it with poly-fil and then sewed the bottom together.